The rapidly evolving marketplace, led by the onset of rapid digitization has brought about a paradigm shift in the Indian real estate sector which has now become more bullish on developing a tech-enabled ecosystem. What’s more, the entry of data-driven new age companies with access to readymade data, such as Oyo and Housing.com are challenging the status quo of existing market leaders. In line with the changing business models and competition, real estate leader like Magicbricks has re-aligned their business priorities and are adopting emerging technologies to compete. As a market leader, Magicbricks will continue to innovate on products and services which address customer needs. In our weekly column, we see how India’s leading property site is redefining the real estate experience by leveraging emerging technologies. Presently, Magicbricks has a monthly traffic exceeding 20 million visits and boasts of an active user base of over 1.1 million+ property listings. 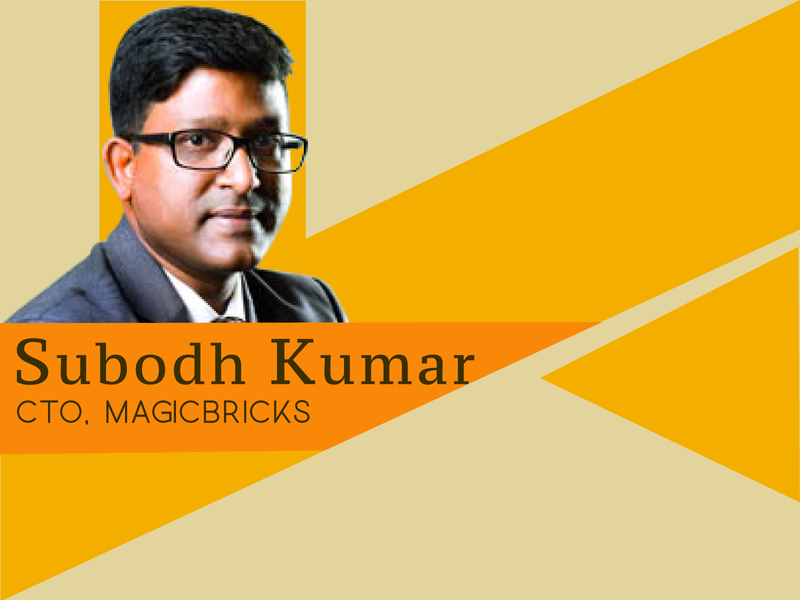 We spoke to Subodh Kumar, CTO, Magicbricks to understand how the company is scaling operation by strengthening its tech backbone and maintaining the status quo in the market. The real estate portal is on a path to build its largest suite of products for buyers and sellers and broadening its portfolio with new offerings. Case in point – the latest chat feature that enables users to interact with buyers or sellers directly. This in line with the call to privacy wherein companies are investing in initiatives and this feature, available as a call to action on the SRP (search result page) and the property detail page allows users to protect their privacy confidently. Talking about its usage, the company stated that within a week of launch, the chat feature had over 100K unique buyers. On the AI front, Kumar reveals that the company has successfully implemented artificial intelligence in multiple facets. 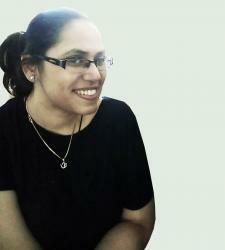 “Our search results are based on AI and it is a complex one. It takes more than 50 attributes to ensure that the right matches are shown to the end user,” he said. Propworth, Magicbrick’s AI-based property valuation calculator is the first of its kind property estimation app, that helps the application to throw accurate results of property prices across major real estate markets of India. Keeping pace with the technological changes and increased emphasis on user interface end, Kumar said that customer experience is highly valued at Magicbricks and the company periodically conducts user research to gather information on how/what’s their behaviour and how experiential their user interface is when they come on the portal. The team also studies the pain areas, in terms of flow, content, discovery of any important feature. In the last few years, Magicbricks introduced several new additions in its product portfolio, to improve user experience. Just like the PropWorth app, Agent Suite, Travel Time Search, were also geared to deliver more value and help customers make the right decisions. The engineering team works on an open source tech stack and regardless of how complex the process is, the team relies on open source solutions and customises it according to their needs. However, the company didn’t divulge team size or reskilling programme details. “Also, when any new tech stack comes, we evaluate in terms of how much benefit it will give to the end user and at the same time we also value how much it will impact our business. In a nutshell, we evaluate new tech stacks and only implement it if it gives benefit to both the business and the end user,” said Kumar. In terms of the team bringing the right set of skills to the table and upskilling programs, Kumar said that the team believes in constant learning and is very much data oriented. “We give more weightage to outside-in thinking which help us in constant re-evaluating our self and finding gaps and errors proactively and then fixing those gaps,” he said in closing.